With such a demand for satellite capacity for the warfighter, the relationship between the U.S. Department of State and the commercial satellite industry should be a marriage made in heaven, but it still feels like a long engagement despite encouraging signals from both sides. Congressman Jim Bridenstine was elected in 2012 to represent Oklahoma’s first district, which covers the Washington, Tulsa, and Wagoner counties plus portions of Rogers and Creek counties. 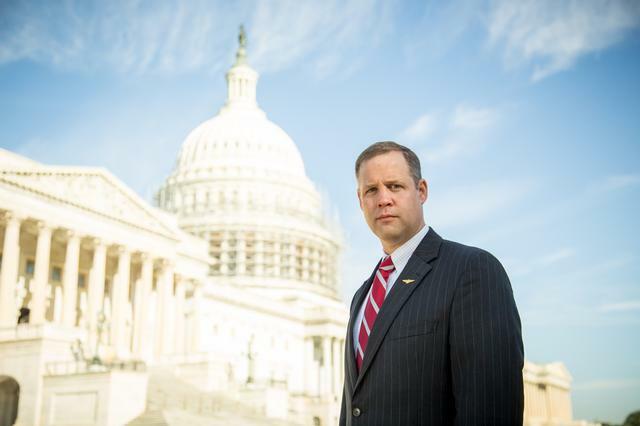 Bridenstine serves on the House Armed Services Committee and the Science, Space and Technology Committee. He is a key advocate for the greater use of commercial satellite capacity to help warfighters. In an exclusive interview with Via Satellite, Bridenstine emphasizes the critical importance of space, particularly for the warfighter. He also talks about space as the new battleground being contested and that it is absolutely critical that the United States does not fall behind. He stresses that space needs to be protected. “This is the role of the United States, but it is also a role for our friends and allies around the world. But to [Via Satellite’s] audience I would say that if we want security for our future, we need to pay attention to what our competitors are doing and thinking, and stay ahead of them. Space is critical. We need to fund at the levels that will provide security for our country,” he says. However, such rhetoric is perhaps not new. 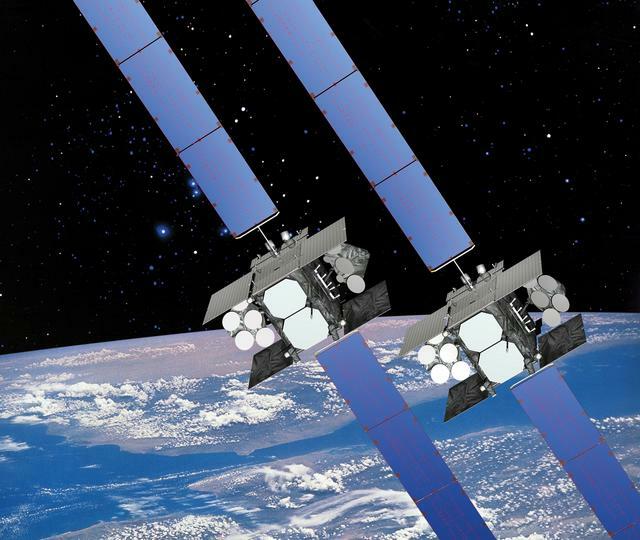 The satellite industry would like to play more of a role for the U.S. Department of Defense (DOD) going forward and, from the outside, progress appears to have been slow. Bridenstine says you have to look at the history to understand why things are the way they are today. He talks of how the current systems were developed out of a very urgent need after September 11, 2001. He admits the United States was very short on capacity in certain parts of the world, and there was a lot of demand growing rapidly in those same places. “The DOD turned to [the U.S. Defense Information Systems Agency] DISA to quickly lease capacity from the private sector. They did that to support our warfighter. That was absolutely the right thing to do. But, now we have two separate systems providing bandwidth for the warfighter. 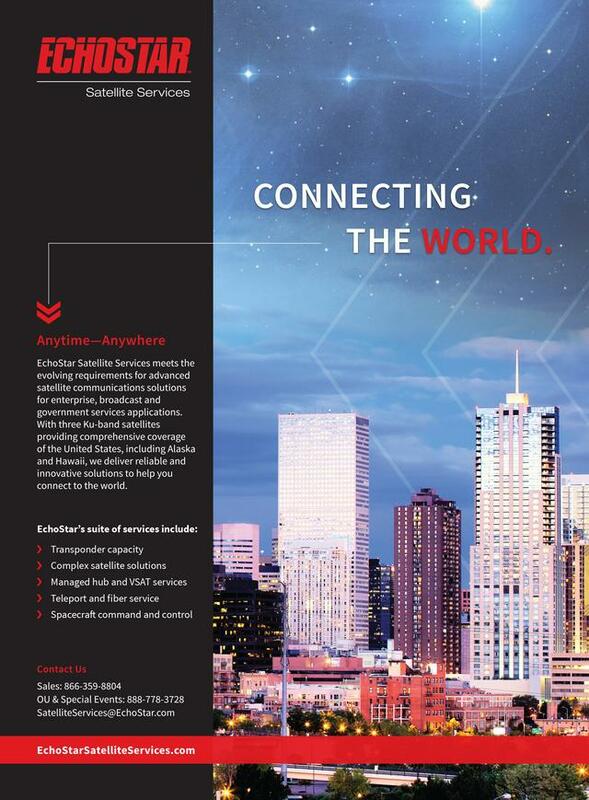 We have the Space and Missile Systems Center, which buys government owned and operated satellites, and you also have DISA, which leases bandwidth from the private sector. Both are doing everything possible to give the warfighter everything he/she needs. There is no dispute about that,” Bridenstine says. However, such a system has created issues, in particular because a variety of different satellite frequencies are used from X-band, C-band, Ku-band, and now Ka-band. The DOD uses X-band and Ka-band from its own systems and sometimes the end user (the warfighter) does not have the equipment to work across a number of different frequencies. Bridenstine says that, in order to bring this together, the DOD and the commercial satellite industry need to develop terminals, modems and antennas that can use any frequency band with as much flexibility and resiliency as possible. Wideband Global Satcom satellites.Photo: U.S. Air Force. It is clear that the next generation of high-powered satellites coming from the commercial satellite sector is influencing the thinking of political decision makers such as Bridenstine. He says the U.S. DOD needs to think differently when purchasing spectrum. “We shouldn’t be purchasing MHz of spectrum. What we need to purchase as a government is a way to figure out the cost per Gbps. We need to get a better value of Gbps. That is the key. We have seen that happen in the computer industry. And now we need to see that happen in the satellite network industry as well,” he says. What we need to do is start talking about satellite communications, and not whether it is milsatcom or commercial satcom. What we need to do is figure out the architecture to give the warfighter what they need. There is great forward thinking and movement in that direction. The capability of new satellites clearly impresses Bridenstine. He is impressed by the fact that in the private sector new satellites are being launched with 140 Gbps of throughput. 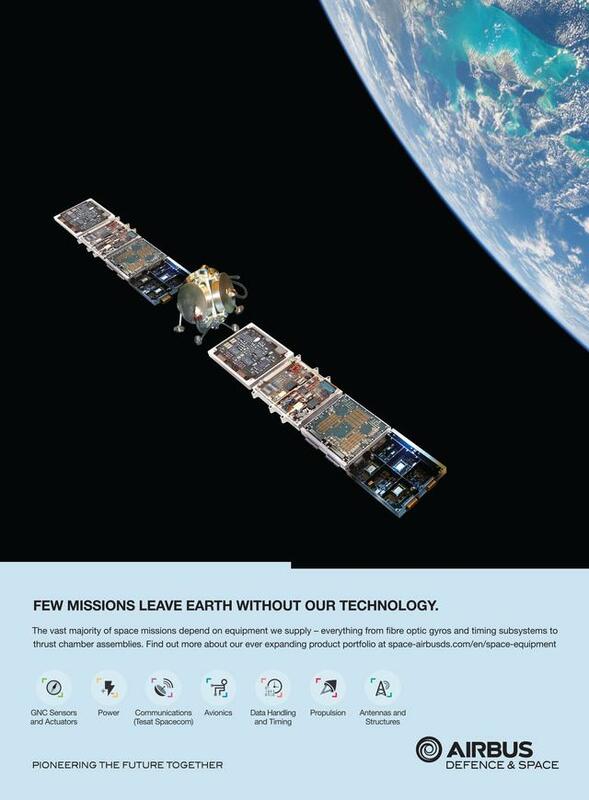 “In the next few years, we will see satellites launch with multiple hundreds of Gbps of throughput. At the same time, we are seeing WGS satellites with a throughput of 20 Gbps. What we need to do for the value of the taxpayer as well as for the value of the warfighter is to make sure we are taking advantage of the rapid technological advancements that we are seeing in the commercial industry,” he says. The DOD takes a forward-leaning position to get what the warfighter needs. But, ultimately, when the commercial satellite industry gets hold of the same technology they are able to innovate very rapidly, according to Bridenstine. “They are competing against each other in the ways that the government does not compete against each other. They ultimately end up being better and cheaper. We are seeing that right now with commercial industry. Global satellite operators such as SES, Intelsat and ViaSat are operating satellites which can be seen as superior to what the DOD owns and operates as far as throughput,” he says. With a number of new satellites coming online offering powerful capabilities, it should be a win-win for both the U.S. DOD, as well as the commercial satellite industry, right? Unfortunately, it is never that simple. What is interesting is that Bridenstine does believe things are changing and he denies there is nervousness on the part of political decision makers to work with the commercial satellite industry. He admits there is some residual resistance in the DOD, but he says it is abating. “The wars in Iraq and Afghanistan forced the DOD to leverage the commercial satellite industry like never before, and industry demonstrated a capability to surge and sustain satellite communications in operations, which, quite frankly, a lot of people in DOD may not have anticipated. A lot of people did not think they were able to do this but they provided it,” he adds. Bridenstine says that while the debate between milsatcom versus commercial satcom will continue, such debate is “pointless.” He adds, “What we need to do is start talking about satellite communications, and not whether it is milsatcom or commercial satcom. What we need to do is figure out the architecture to give the warfighter what they need. There is great forward thinking and movement in that direction, and certainly my intention is to provide as much political support for that as possible.” In April, Bridenstine unveiled details of the H.R. 1864 Bill, which mandates that the Secretary of Defense assign a senior DOD official to perform the single satcom acquisition agent function by fiscal year 2017. The bill also aims to provide flexibility to allow other DOD officials to procure satcom to meet urgent warfighter requirements. Finally, the bill requires DOD to submit a plan demonstrating how it will carry out the single acquisition agent responsibility. H.R. 1864 is a bipartisan bill and the Chairman and Ranking Member of the House Armed Services Subcommittee on Strategic Forces are co-sponsors. “We don’t have a single acquisition agent for space communications. What this bill will do is make them decide who this single acquisition agent will be. That is an important step going forward,” Bridenstine says. There is an appetite for change. Nowhere is this more apparent than when looking for funding for the Air Force Space & Missile Systems Center’s (SMC) Pathfinder 2 program, which Bridenstine is determined to get funds for. He has been working on this for about a year. “Based on conversations I have had, I am very confident I can get money authorized for SMC to buy a pre-launch transponder, which is $26 million. I am also confident that once it will be in the National Defense Authorization Act, which is not in my Committee, I am confident that bill will pass the full House. The concern for me is the appropriators, and I will be working the appropriators to make sure they follow what the Authorization Committee does. So, the House Armed Services Committee authorizes the National Defense Authorization Act, but ultimately the appropriators are the ones spending the money. We need to make sure they are spending the money which has been authorized by my Committee,” Bridenstine added. One of the issues when looking for closer ties with the commercial satellite industry is whether the technology can offer the levels of security a customer like the DOD needs. If, as Bridenstine attests, space is becoming more and more contested, using commercial satellite technology will be imperative — and it can be done in a secure way. Interestingly, Bridenstine believes that part of protecting information in cyber-space requires numerous paths in which the information flows. He believes there is evidence to suggest that the creation of more paths, with a mix of military and commercial provides more security and makes it more challenging for the enemy to stem the flood of communications. He believes diversifying military communications by using commercial systems would rapidly help the U.S. DOD achieve more paths. “I would say that the argument shouldn’t be whether commercial satellite systems are secure enough. I would say the argument should be how do we create a more robust network architecture with more paths that make it more difficult for the enemy to interrupt information flows? That requires a mix of commercial and military. Commercial applications and involvement of the commercial satellite industry in the network ultimately provide more security,” Bridenstine adds. Analyst’s POV: Are DOD’s Comsatcom Spending Habits About to Change? According to the United States Air Force Space and Missile Systems Center (AFSPC), roughly 80 percent of the military’s satellite communications are sent over commercial satellite systems. In the midst of this heavy reliance, DOD is also in the production phase for several satellite programs such as the Advanced Extremely High Frequency (AEHF), and the Mobile User Objective System (MUOS) satellites. With both fresh milsatcom and comsatcom capabilities coming online, is the DOD nearing a spending shift? Unconstrained Overseas Contingency Operations (OCO) spending fueled this spending surge, according to DOD's August 2014 report: "Satellite Communications Strategy Report." OCO spending has declined since the height of U.S. operations in these countries, and Ostrove expects this, among other considerations, will force government to be more careful about increases. 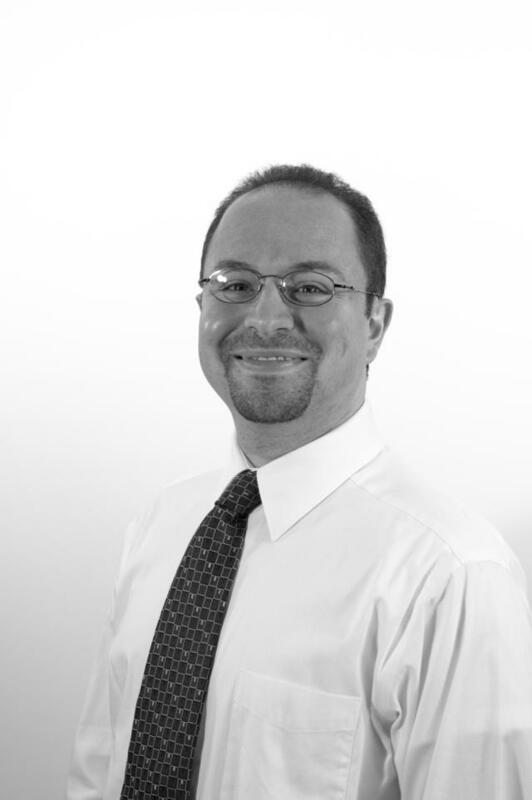 Mark Holmesis the editorial director for Via Satellite andAvionics Magazine. Caleb Henry is Via Satellite's junior editor.